Many local businesses trust us for their custom printing and graphic design needs. We make sure to take care of our customers and provide them with excellent service and products to help accelerate their advertising and marketing efforts. Check out our portfolio to see our past work! Our service area includes Harrisburg, Carlisle, Mechanicsburg, Camp Hill, York and everywhere in between. If you’re looking for a local graphic design company to help you boost your businesses branding and reach, we can help! 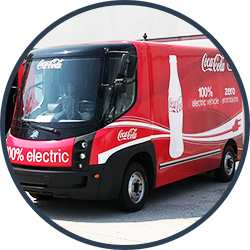 All of our services can be tailored to fit your needs and we even offer sign and graphics installation for our vehicle wraps, vehicle graphics, custom sign printing, and wall & floor graphics services. Call us today at 717.648.9280 for design, printing, and installation services in the Harrisburg area! Do you have custom printing needs? We’re flexible and can work with most custom printing projects! If you need a new, fresh design for your company business cards or are looking for some unique, eye catching banners, signs or decals, we can help! Ready to start your project? Contact Us! 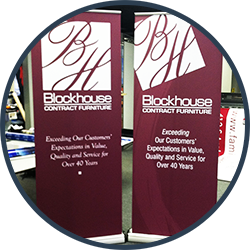 Make sure your business stands out at your next event or trade show with new professionally designed and printed pop-up trade show displays and supplies. 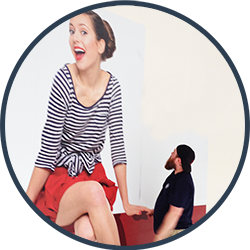 We can help you with almost any trade show display you’re looking for from backdrops, custom modular displays, custom printed banners and more! We know that it’s important to make a great, professional impression and that your booth at trade shows needs to stand out in order to quickly grab your customer’s attention. That’s why we customize the design of your trade show displays and produce them with the greatest quality, all while keeping your budget in-mind. We offer printing and design services for all your marketing needs! From logo design to custom graphic design and printing, we are able to help you get the print materials you need! Some of our custom printing products include Business Cards, Letterhead, Brochures, Notepads, &Promotional Items.Why go anywhere else? We can help you with all of your branding needs so everything you and your customers see and interact with match perfectly! Are you looking for a high-impact way to advertise? Have you considered a wall, tabletop, or floor decal? Advertising your business or promotion with graphics applied to walls, floors or even tables are great, more unconventional ways to get your branding or promotion in front of high traffic areas. Not only are wall and floor advertisements great for businesses looking to stand-out, they can be used at properties with leasing opportunities available. Floor graphics are also great for helping customers with directional information and are a great way to get your branding across.